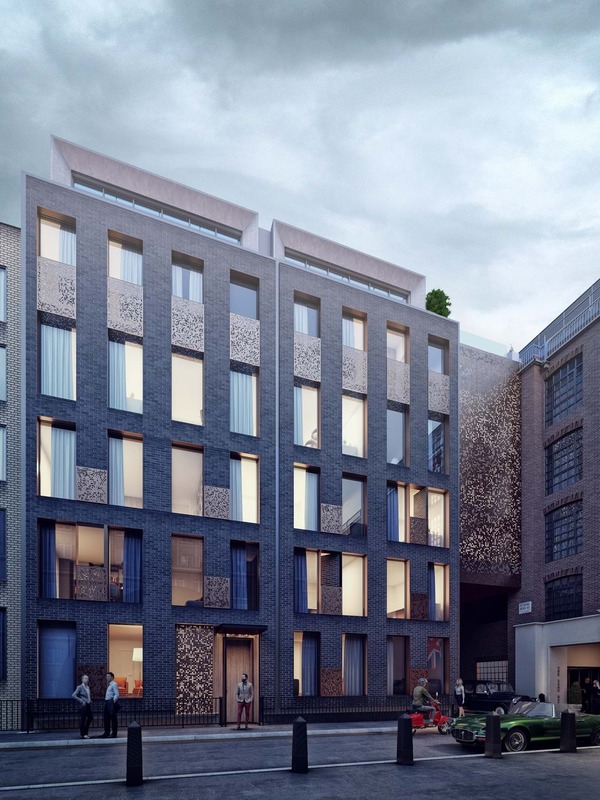 Located on a tight urban site in the heart of London’s Soho this new residential proposal is positioned adjacent to the renowned Soho Hotel. Our design redevelops an existing commercial office building located at the end of the quiet side street known as Richmond Buildings. Townhouse proportions and traditional materials suggest that our design respects the historic context of this part of London. 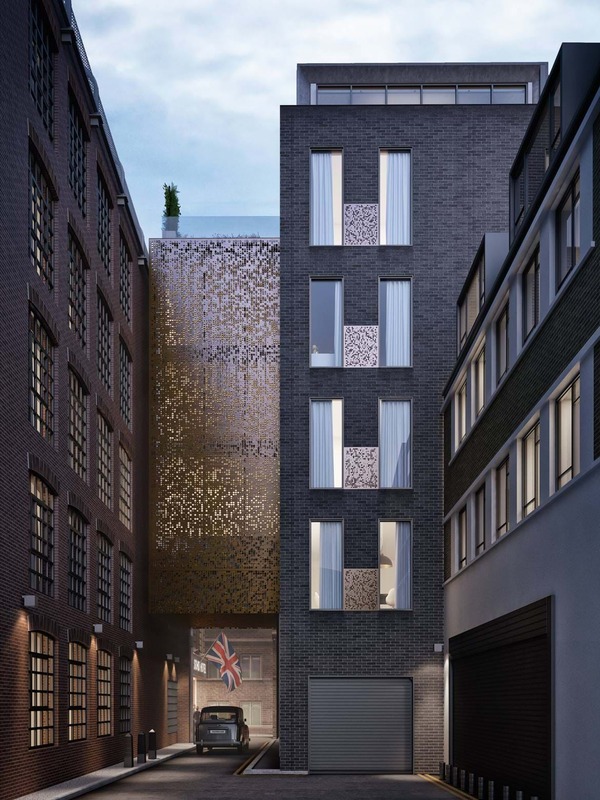 But playful and unexpected twists, including rotating brickwork facades and lasercut bronze details, firmly embed this design in the edgy reality of Soho. 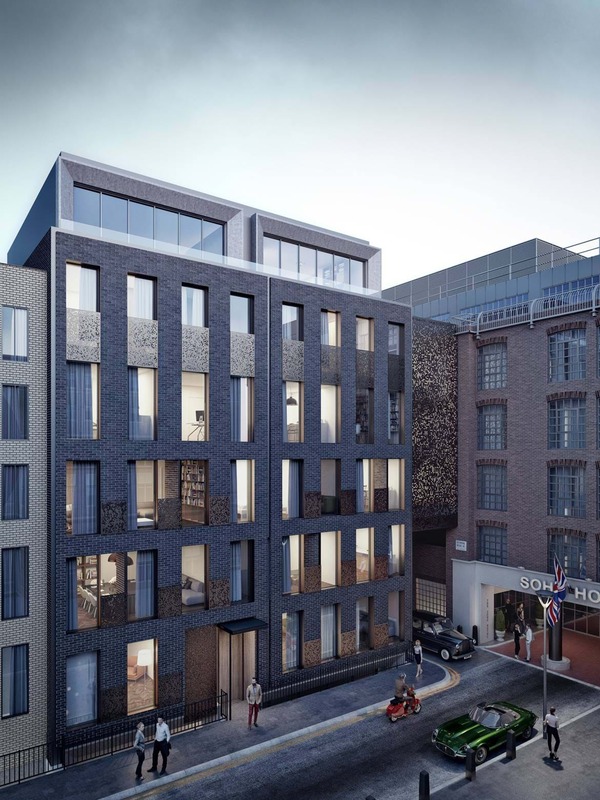 We have created a connecting four-storey bridge of accommodation that joins the new residential building to the adjacent Soho Hotel. 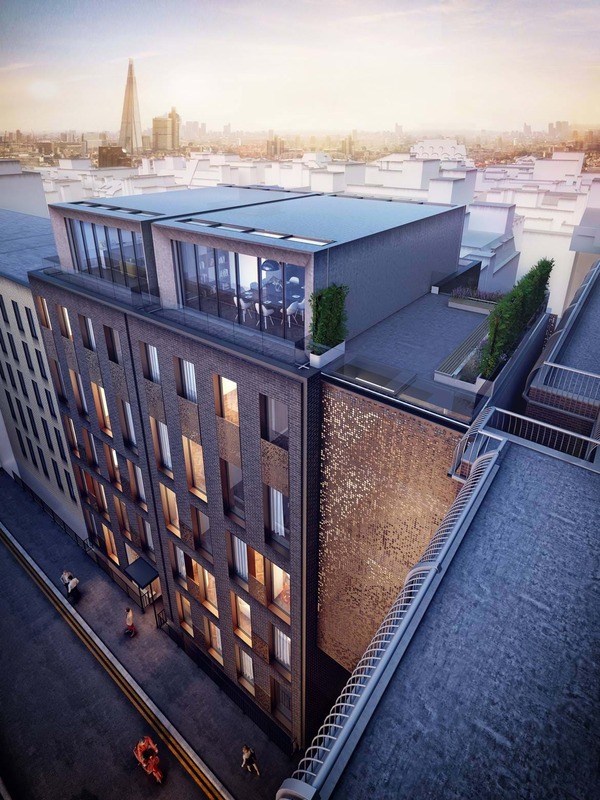 Within this element we have designed a quadruplex ‘Skyhouse' which deviates from the traditional massing to create an architectural gem, wrapped in a laser-cut bronze screen and featuring a hidden media snug inspired by Soho’s private screening rooms.